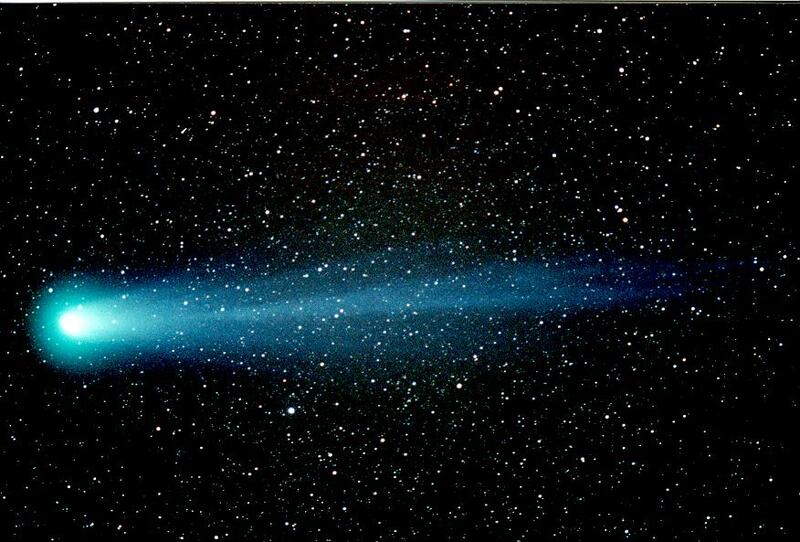 Image of Comet Hyakutake was taken by John Kerns on 24 March 1996 at the Orange County Astronmer's Site near Anza, CA; an Olympus OM-2 camera with Ektar 1000 film was used. This is a 17 minute exposure with a 100mm lens at f/4 at 9:50 UT. The comet shows a distinct blue color and the tail reveals filamentary structure.